A couple of weeks ago, I visited three first grade classrooms to talk about how I wrote and illustrated my Three Ghost Friends books. I found out that two of the classrooms were piloting a new writing program that encourages students to write about the "small moments" in their life. Many students were brave enough to share with me a "small moment" that inspired their writing. I heard stories about wiggly teeth while getting ready for school, flips off the swings and falling down, long car rides in the car, caring for animals on their farm, and more. I encouraged the students to keep writing about their "small moments" because their experiences are important and other children would love to read their stories. I love the idea of "small moments"! I shared with the students that there were "small moments" that inspired each of my Three Ghost Friends books too! I was writing other stories at the time my youngest son became obsessed with Halloween. He loved walking the neighborhood looking for pumpkins and decorations. Ghosts became one of his favorite Halloween characters with thanks to the book Skeleton Hiccups by Margery Cuyler (a ghost helps the skeleton get rid of his hiccups). My son would ask me to draw ghosts for him -- even many months after Halloween was over. 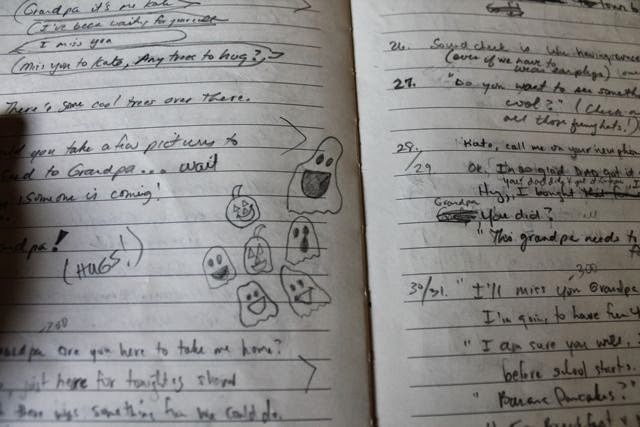 The picture above is from my writing journal with ghosts and pumpkins he asked me to draw. 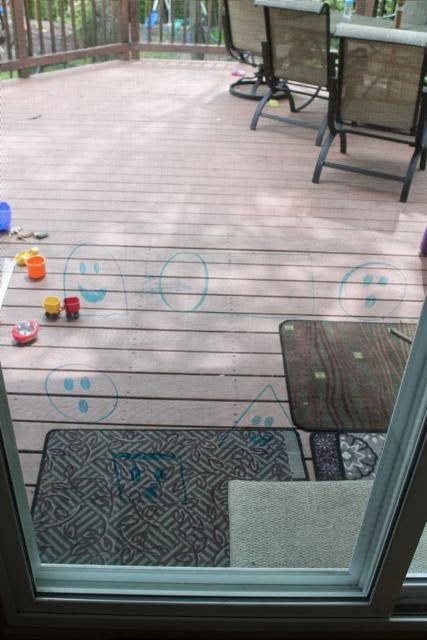 I would usually ask, "Do you want me to draw a happy ghost or a MEAN ghost?" He would almost always want me to draw a happy ghost. The "small moment" for Three Ghost Friends: Learn About Opposites happened while I was designing how the Three Ghost Friends would look for Three Ghost Friends: Learn About Colors. 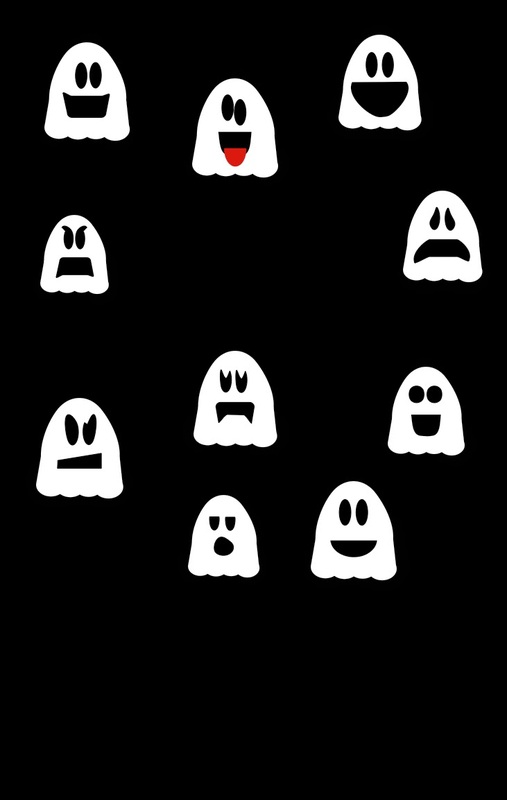 While making the faces I thought about HAPPY and SAD ghosts. I thought that an opposites book would be fun to make. My best friend from grade school called me one day and told me that he had an idea for the next Three Ghost Friends book. 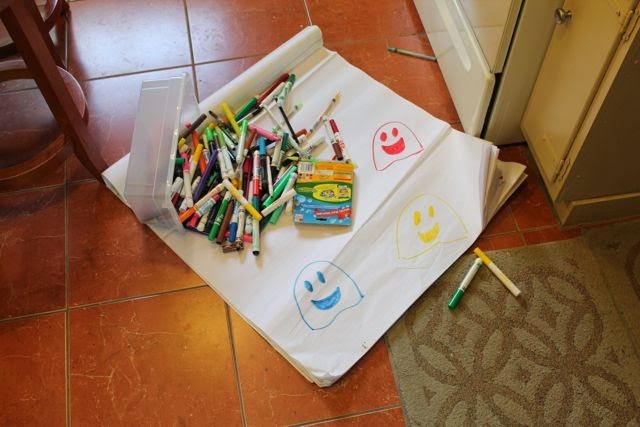 He said, "You need to write a Halloween book and have the Three Ghost Friends dress up as ghosts for Halloween." This "small moment" inspired me to write Three Ghost Friends: Learn About the ABCs - Halloween Edition. To all the students I met: THANK YOU for your questions, comments, and enthusiasm! I had a great time reading my books to you! KEEP WRITING about your small moments! 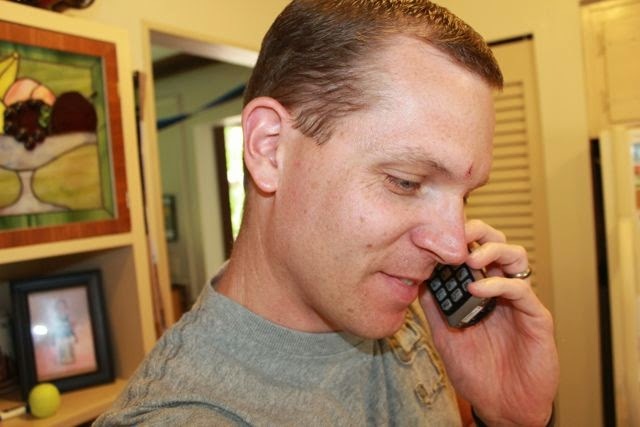 You all have great ideas! Enjoy your summer! Again visit your website. You article topic is three ghost friend books. I have read this post very carefully. I told that please read more about academic ghostwriting services.